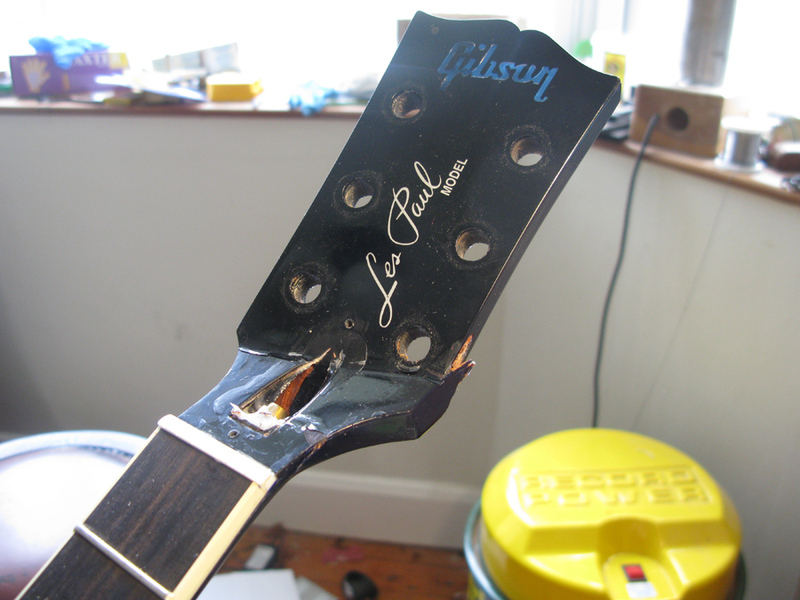 Headstock breaks happen all the time and the good news is they’re nearly always repairable. 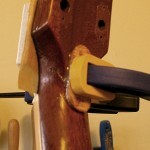 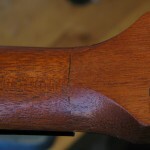 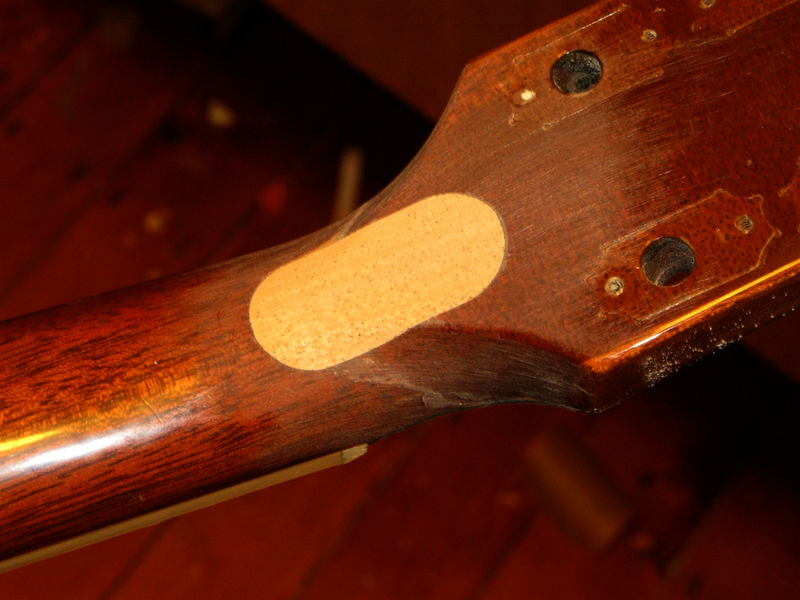 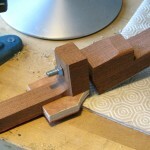 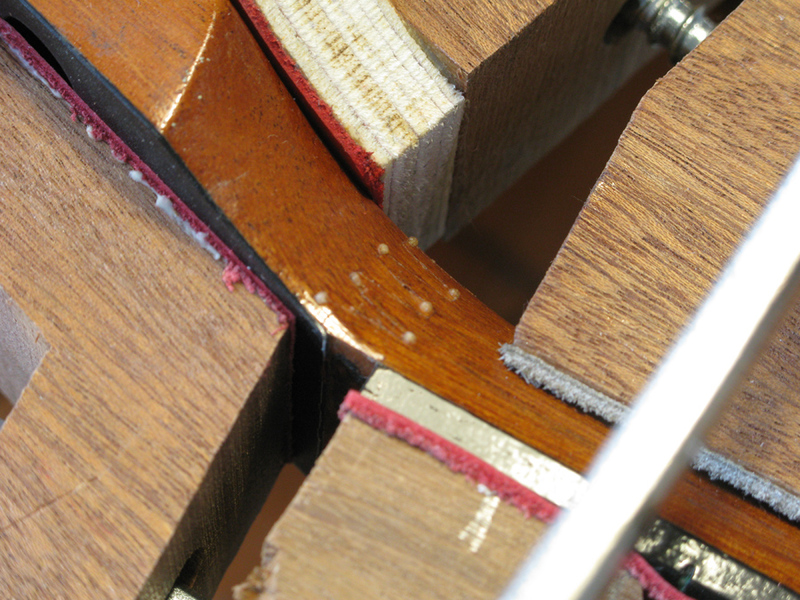 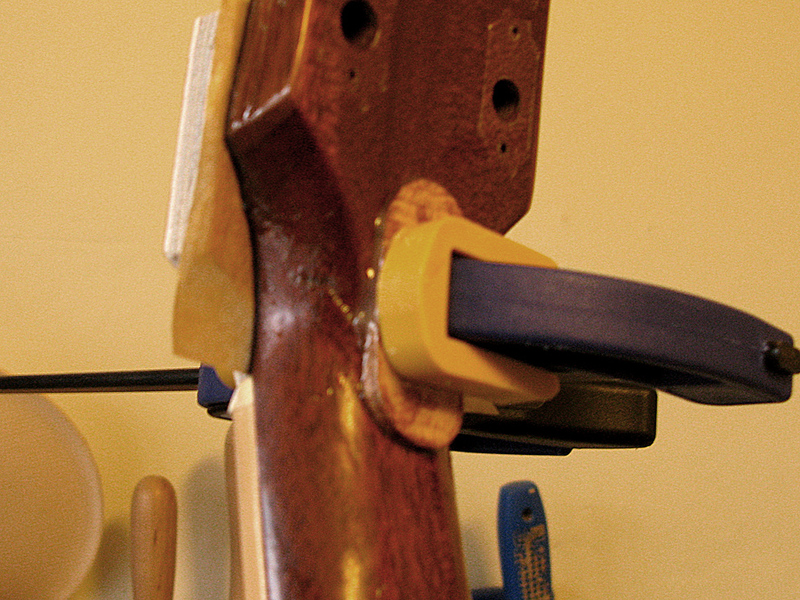 When glued properly, the original joint is usually stronger than the neck before the break. 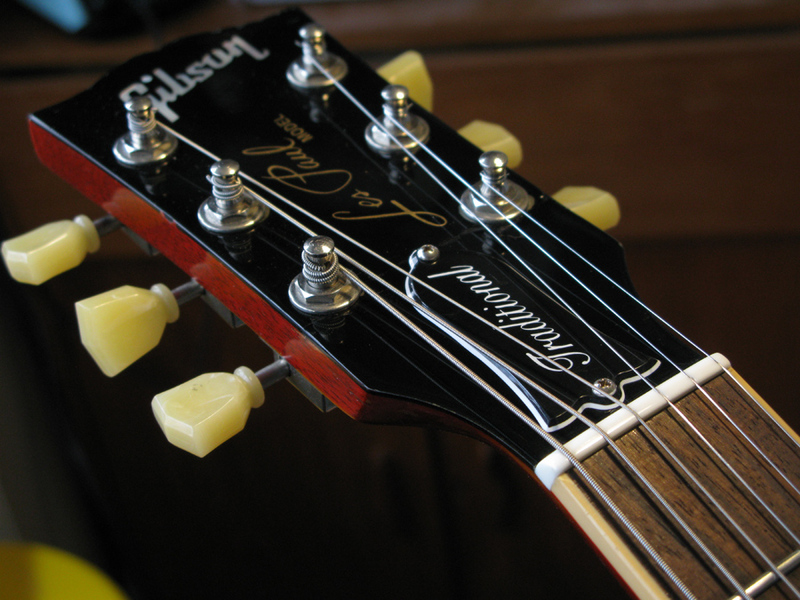 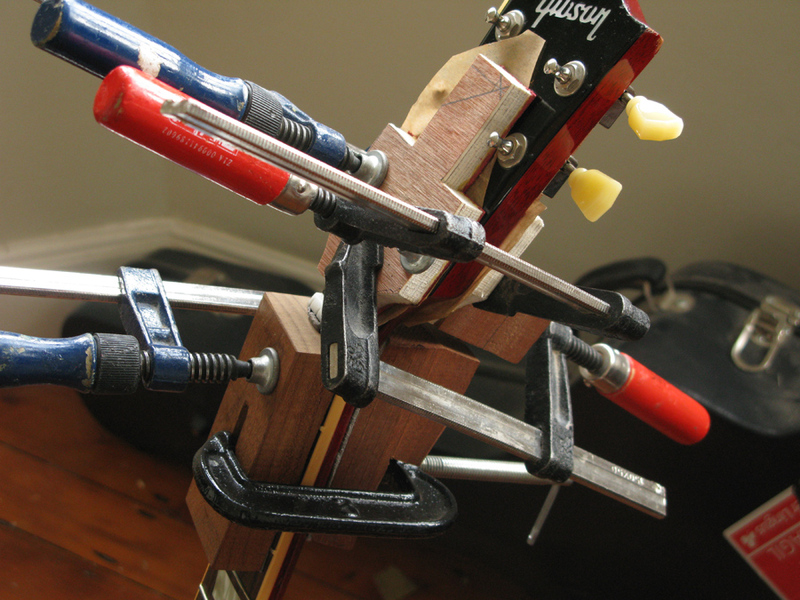 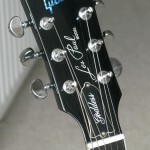 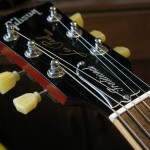 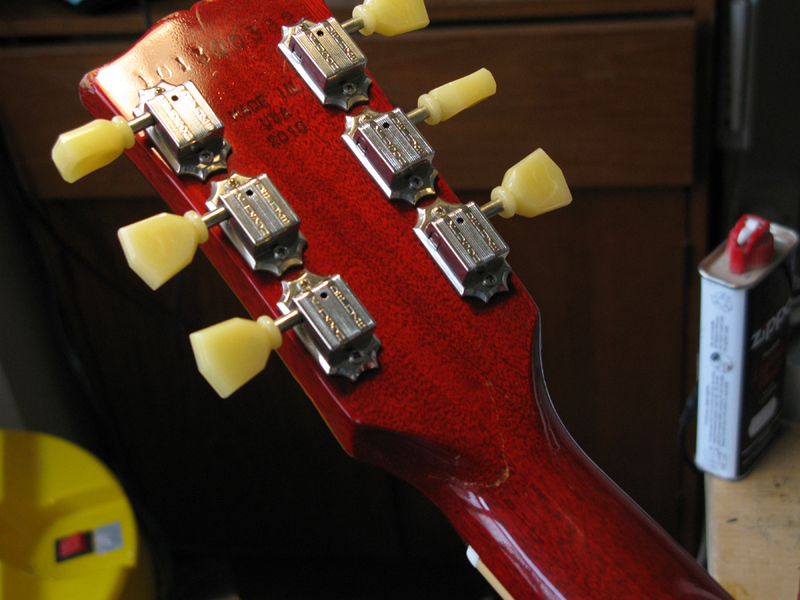 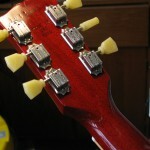 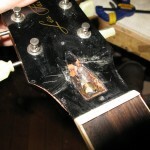 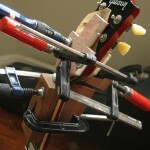 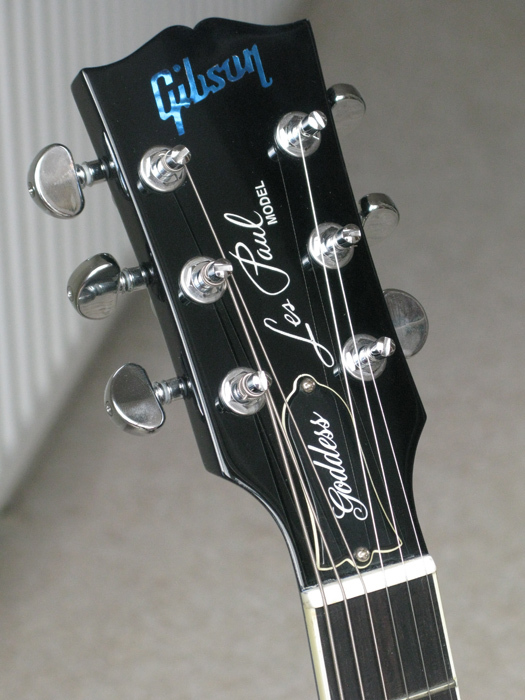 However, it is harder to fix a headstock if a previous repair had been attempted. 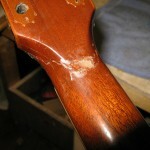 There are different glues that will work for this repair. 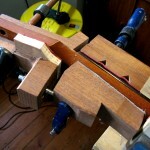 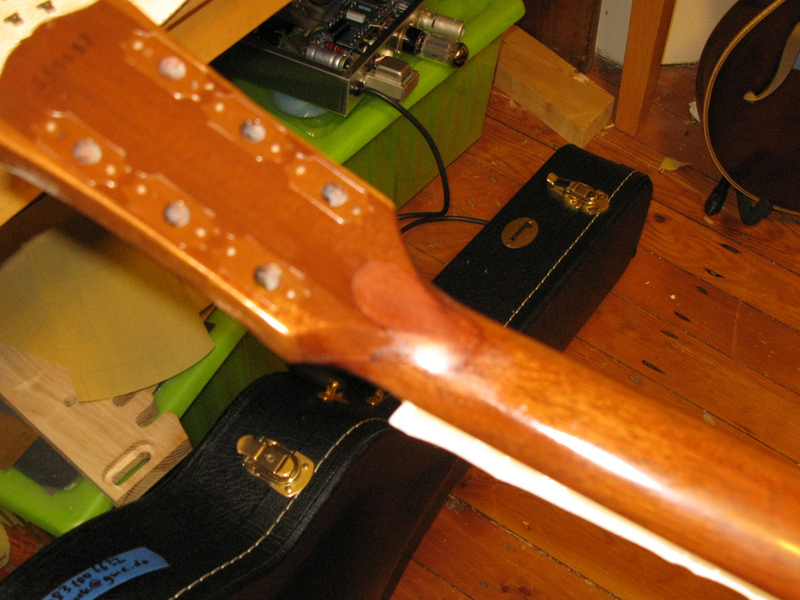 I’ve had many headstock repairs come my way where the wrong glue was used causing the joint to fail. 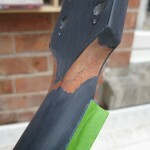 Alphatic glue, like Titebond, is very strong but tacks up quickly. 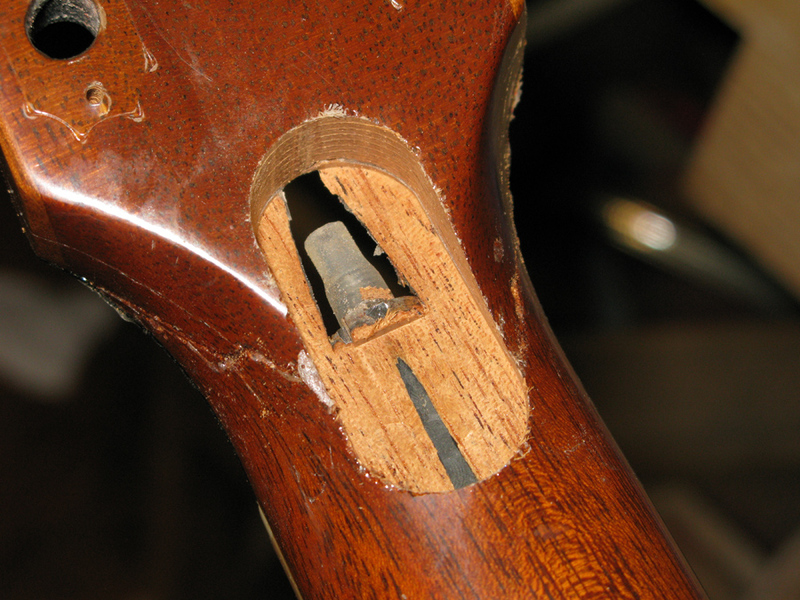 If there is a secondary fracture or if the joint is difficult to access, the repair may be too weak. 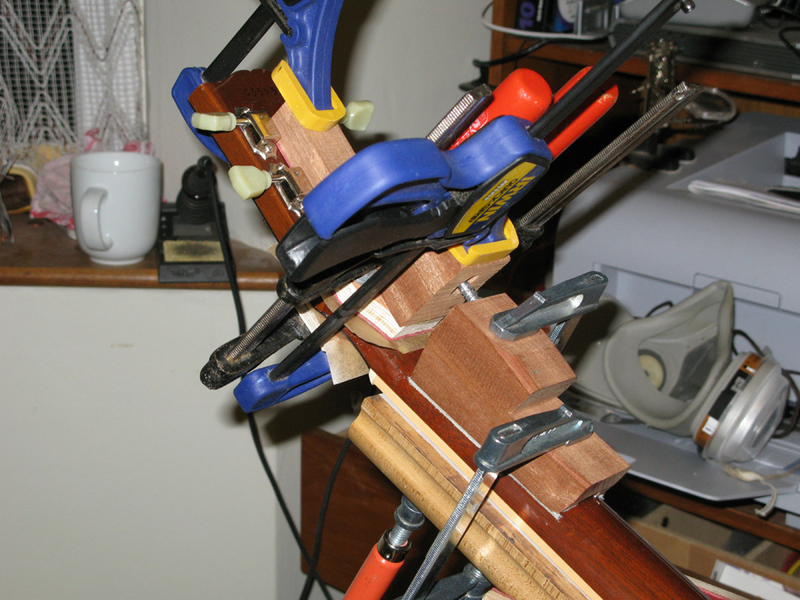 On more than one occasion, I’ve been able to pull badly-repaired joints apart with my hands. 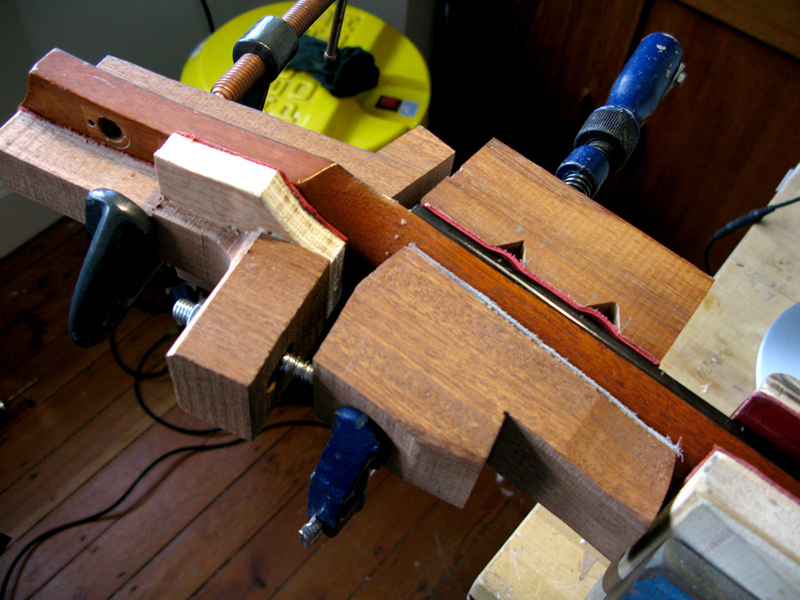 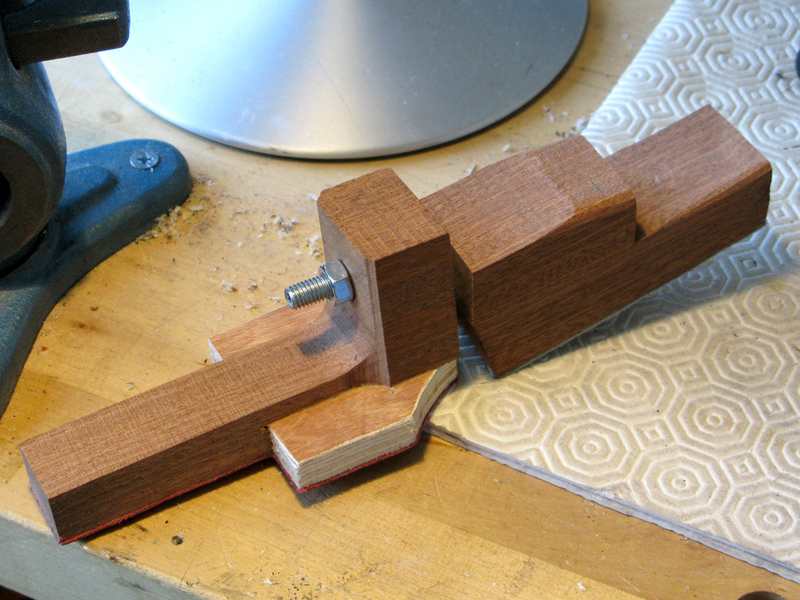 My usual glue choice is a slow-cure epoxy resin; and I use this with a specially designed clamping fixture. 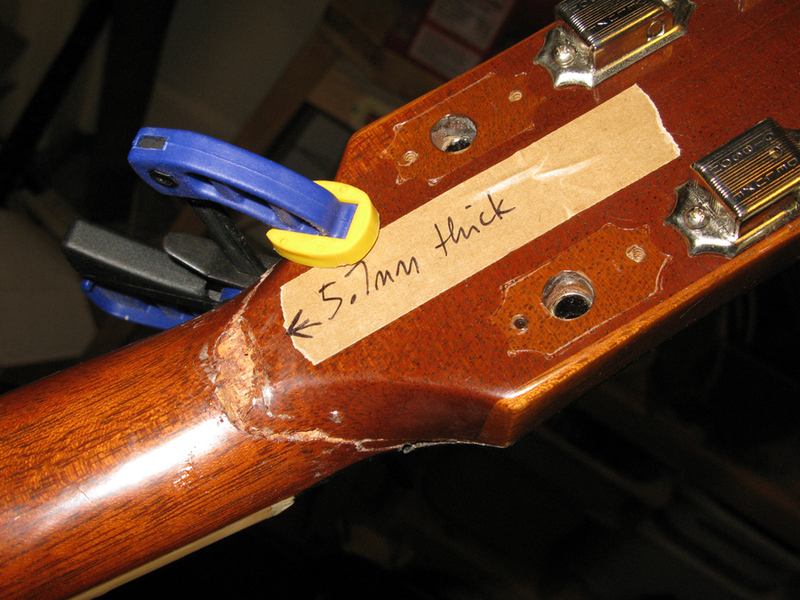 Unlike alphatic resin, this glue also adds strength in the voids (if present). 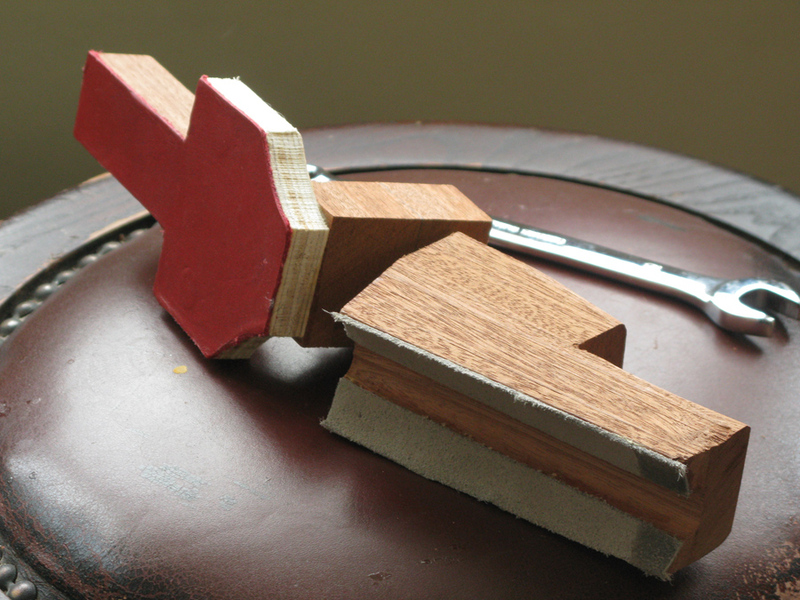 The fixture can also force the joint open while I heat the glue to a watery consistency, enabling it to flow deep into the joint and highlight any secondary fractures that may be present. 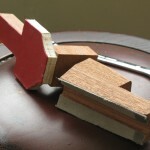 Unlike conventional clamps which apply vertical pressure, the fixture can pull the joint together horizontally as well. 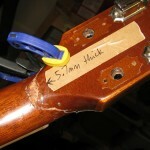 There are two common approaches. 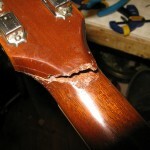 One is to provide a structural repair and live with some cosmetic irregularities. 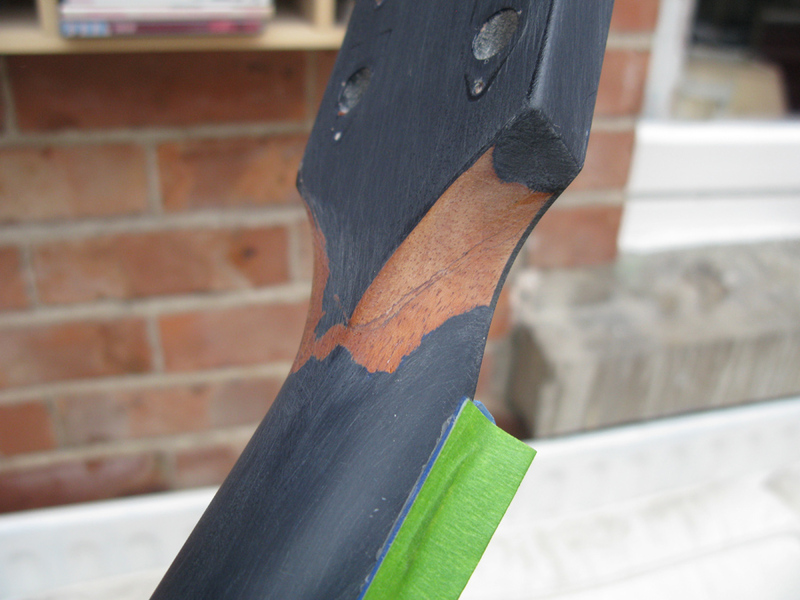 The other is a cosmetic repair which involves a certain amount of refinishing. 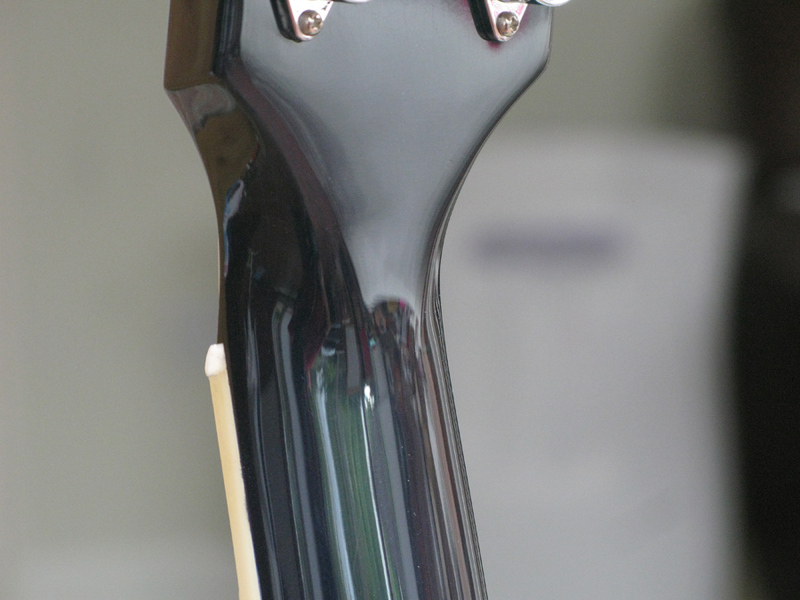 An extreme case involves matching a custom colour and building up layers of clear lacquer to buff to a high gloss. 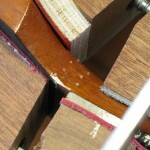 There are four examples in the picture galleries on this page, illustrating various levels of complication. 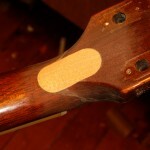 In this case, I used titebond as the joint was clean, fully accessible and could be covered quickly. 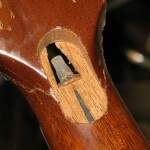 Two previous repairs had failed so the joint needed extra reinforcement. 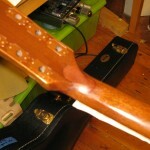 The insert was touched up at the end without stripping back the finish. 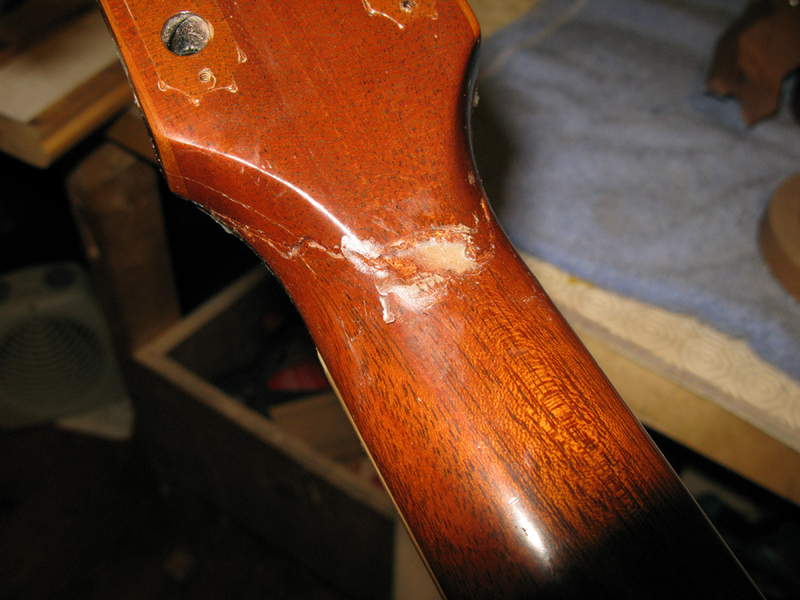 While the repair is visible, it doesn’t stand out too much and the neck feels smooth when playing. 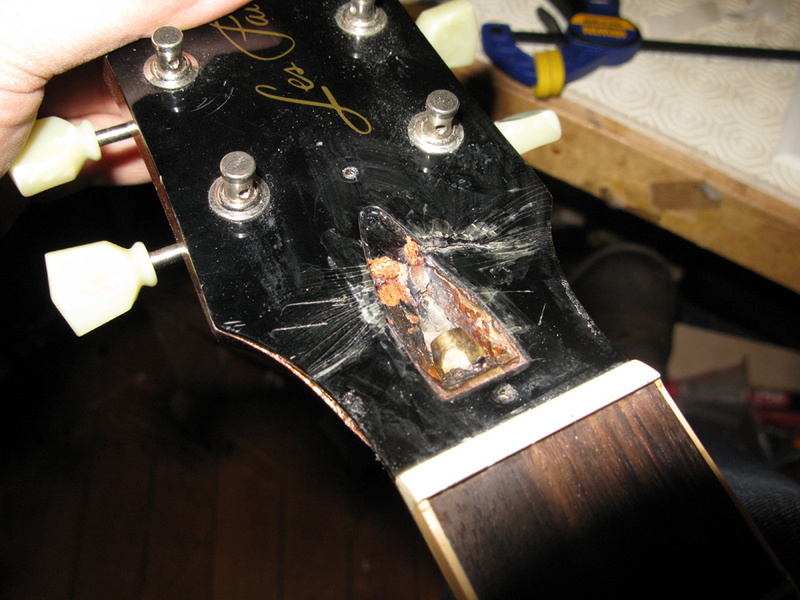 This was a tricky repair with the headstock completely detached. 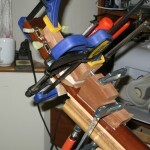 The Jig stopped the glued surfaces sliding while clamped. 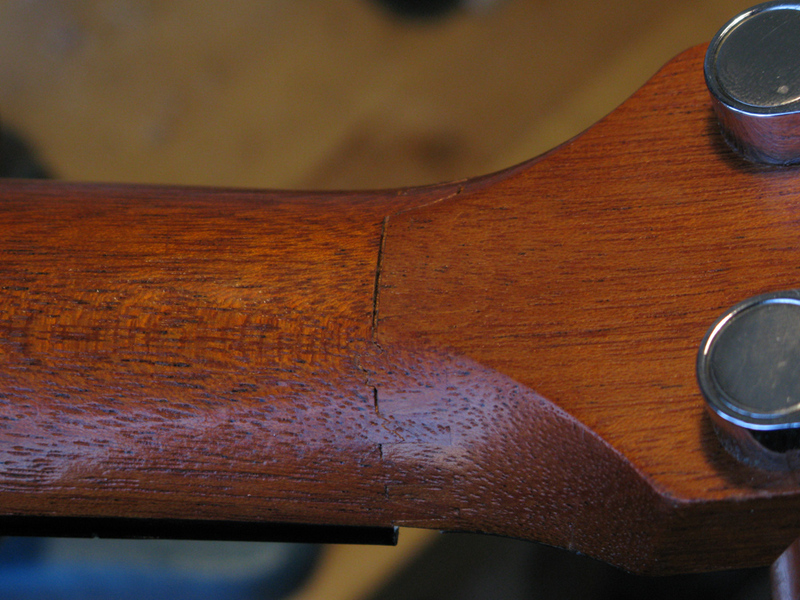 The repair looked reasonably well and didn’t warrant stripping back the finish. 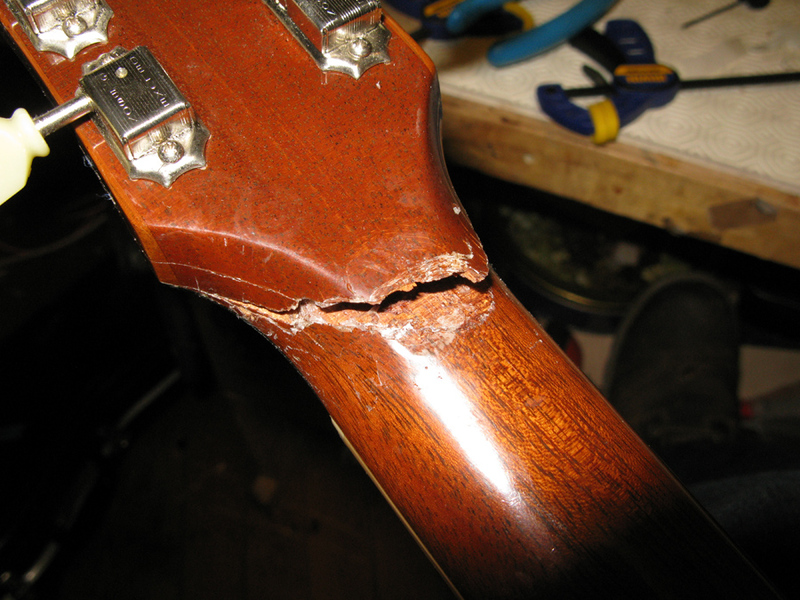 This was a challenging repair. 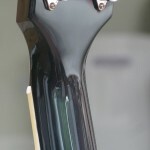 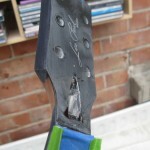 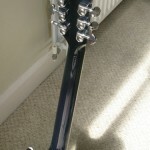 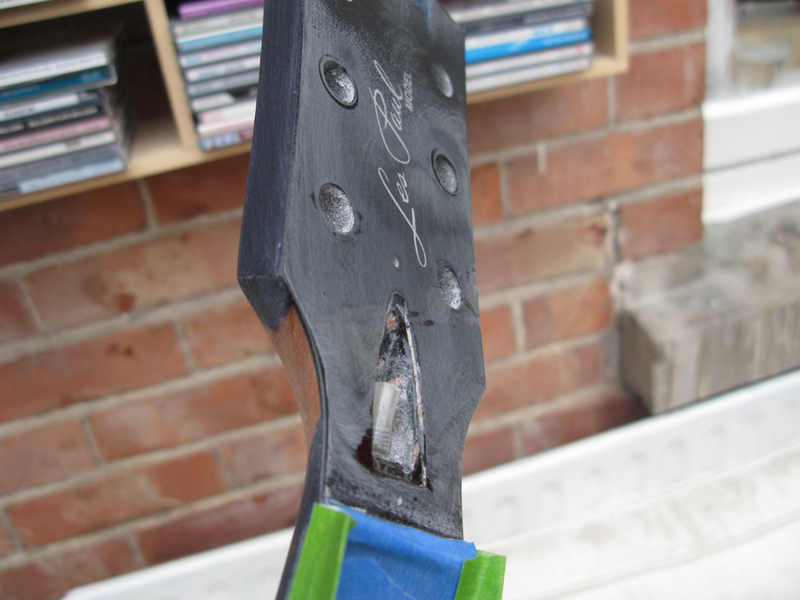 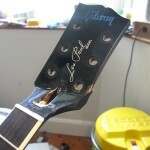 The front face of the headstock was badly damaged as well as wood being badly mangled in a few places. 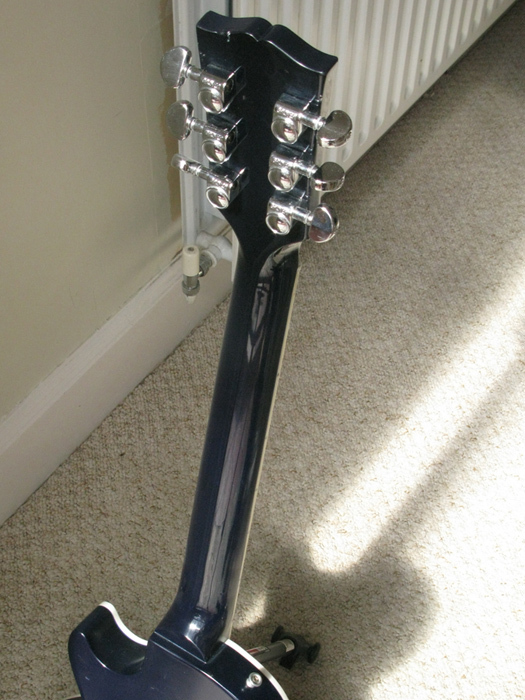 The guitar’s colour was digitally matched and blended.